Shareholders of Zimbawbe Stock Exchange (ZSE) listed short-term insurer NicozDiamond Insurance Limited (NDIL) have approved a proposal for a scheme of arrangement which will see First Mutual Holdings Limited increasing its stake in the company to 100 percent by buying out minorities. This comes as FMHL had acquired 80,92 percent shareholding in NDHL late last year, a move that should see the short term insurer de-list from the Zimbabwe Stock Exchange (ZSE) by the 6th of August this year. NDHL said the scheme, held in terms of an order of the High Court, was approved by a majority of scheme members, representing not less than three quarters (75 percent) of the members. Following the approval by members, the scheme of arrangement will once again be submitted to the High Court for sanctioning in terms of the Companies Act. “Scheme participants are deemed to have disposed of their scheme shares to First Mutual Limited in exchange for the scheme consideration,” NDHL said. FMHL had an obligation, in terms of the ZSE’s listing rules requirements, to make a mandatory offer to the short-term insurance company’s minorities following its acquisition of the 80,92 percent of the issued shares in NDIL. 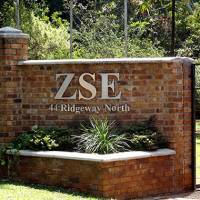 The ZSE’s listing rules require a single shareholder who acquires more than 35 percent of the issued shares of a listed entity to make a mandatory offer to minorities. Post the scheme FMHL will subsequently own the entire issued share capital of NDHL. Once Zimbabwe’s biggest and only listed short-term insurer becomes 100 percent owned by FMHL, it would be merged with Tristar Insurance, already a unit of FML. FMHL proposed to acquire the remaining stake in NicozDiamond through the offer to buy out minorities through a scheme of arrangement, put to the vote of members. In an announcement published on December 6, 2017, and March 22, 2018, FMHL advised the market that it had acquired 80,92 percent shareholding in NDIL. “To this end and as aforementioned, FMHL proposed to implement the offer by way of a scheme,” said NicozDiamond in an earlier circular to its shareholders. According to the circular to members, if the scheme is implemented, members will receive either 10 FMHL ordinary shares for every 43 NDIL ordinary shares held or a cash consideration of 3,41 cents per each NDIL ordinary share already held, and NDIL will become a wholly owned subsidiary of FMHL. If implemented, the benefits will be that the arrangement will give the new FMHL ordinary shares an opportunity to remain with tradable securities in an enlarged and diversified group. For FMHL, this will allow the insurance giant to merge NDIL with Tristar Insurance bringing benefits such as enlarged clientele base and increased new business underwriting capacity. Further, the merger of Tristar and NDIL will see the new business consolidating its position on the local market and entrenching market leadership position through efficient processing of claims, excellent customer service, customer convenience and offering market responsive solutions. “If realised, these benefits will accrue to both current FMHL shareholders and the Scheme Shareholders who will elect to receive shares in FMHL,” NDIL said in a circular.